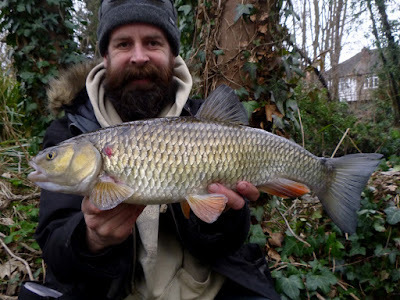 I escaped for an hour chasing chub in some very shallow water, you could watch a bow wave approach the luncheon meat - and mostly turn away at the last second. 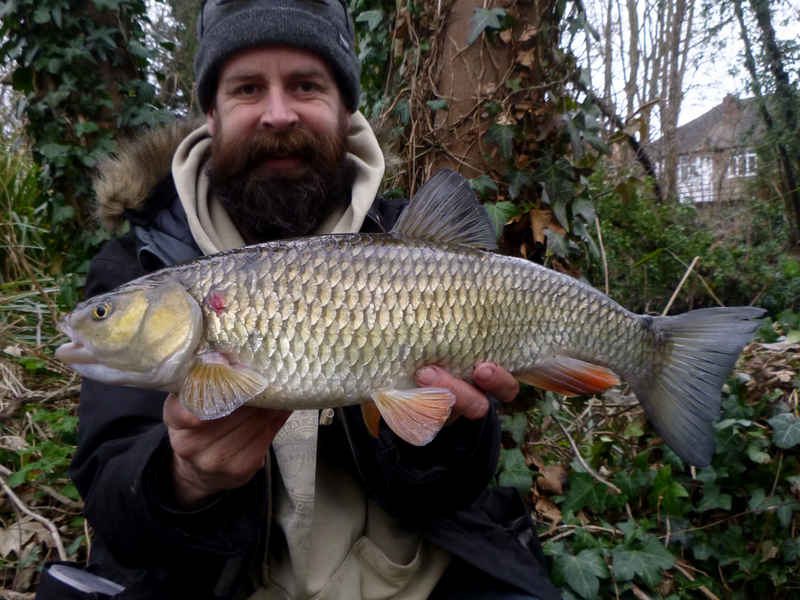 After loosing one to a hook pull I landed the fish above, what a stunning looking chub. Mission accomplished - I only needed one fish - I headed for home. 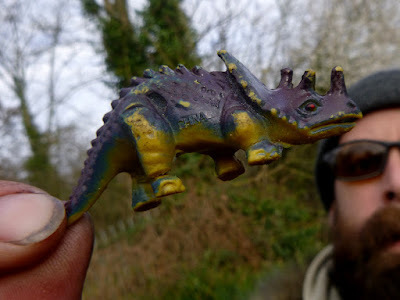 Well, I did land a dinosaur but as I netted it I'm not sure it counts! You should have weighed the dinosaur as i'm sure they get bigger than that!